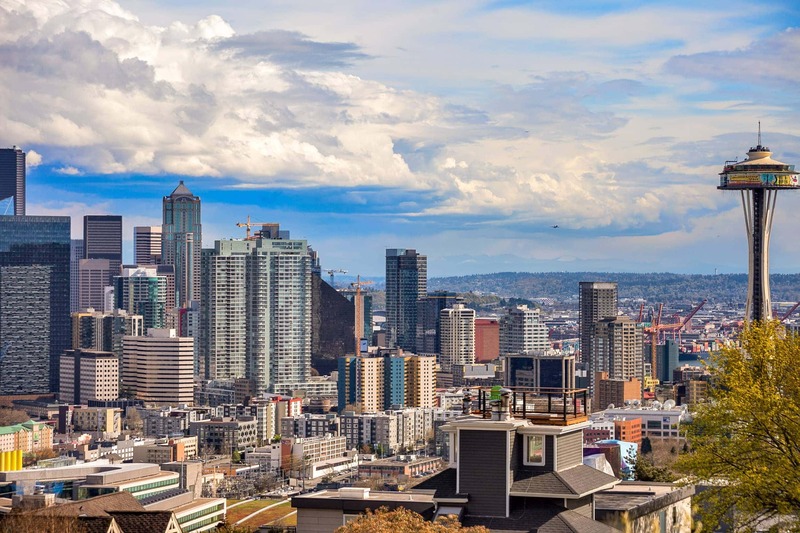 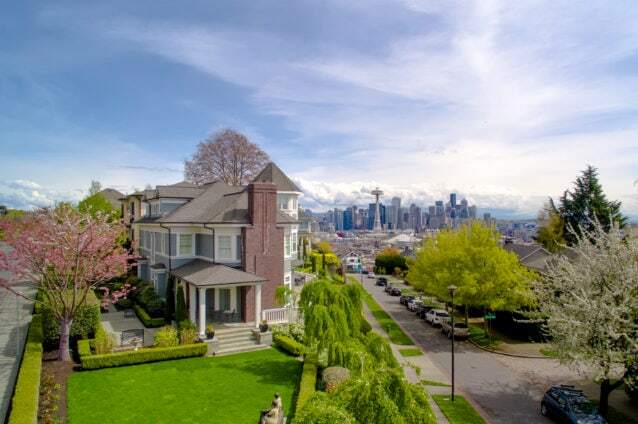 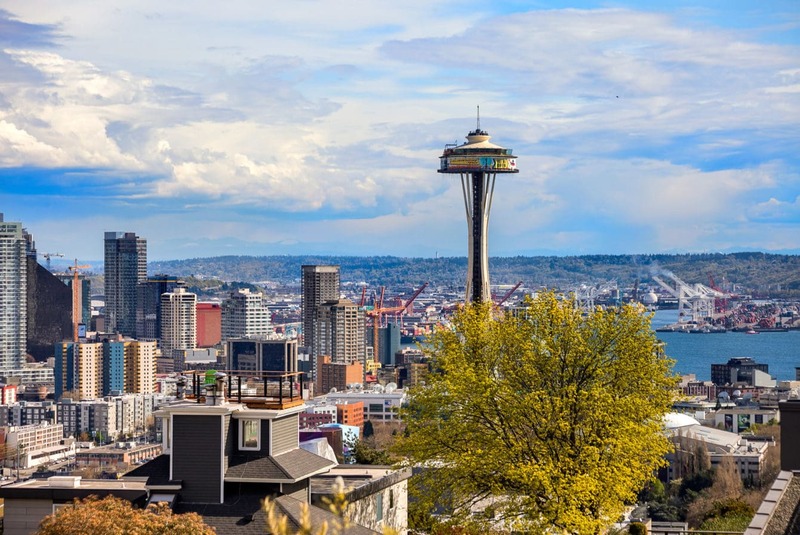 Home prices in Queen Anne have gone up 26% in the last two years. 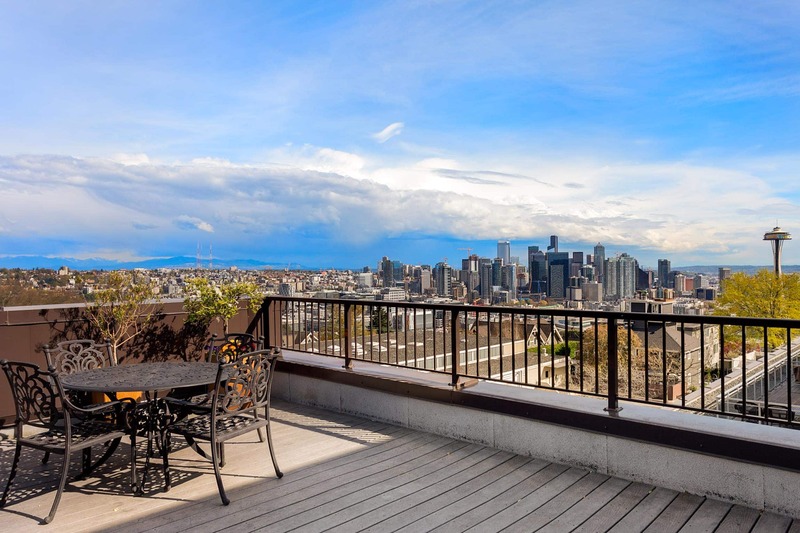 Home prices are predicted to go up another 26% in the next three years. 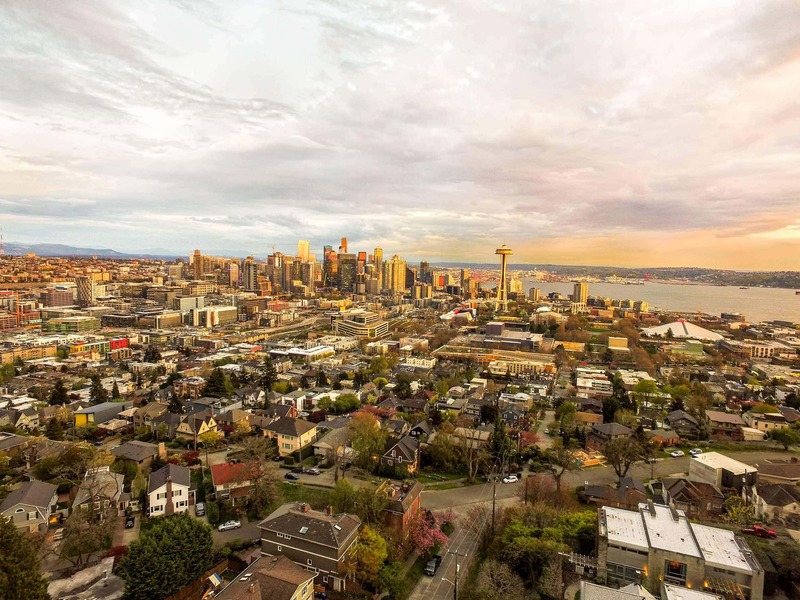 Over the last three years Income growth, population growth and housing appreciation has been among the highest in the nation. 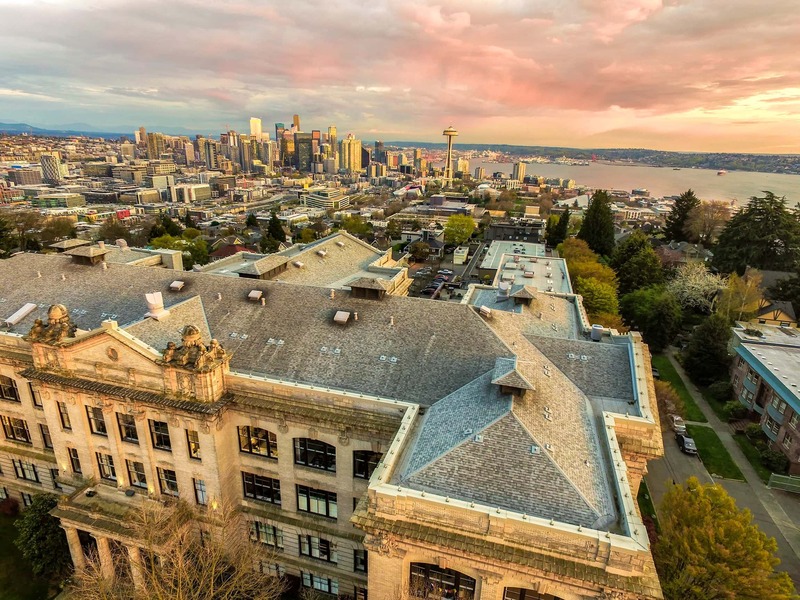 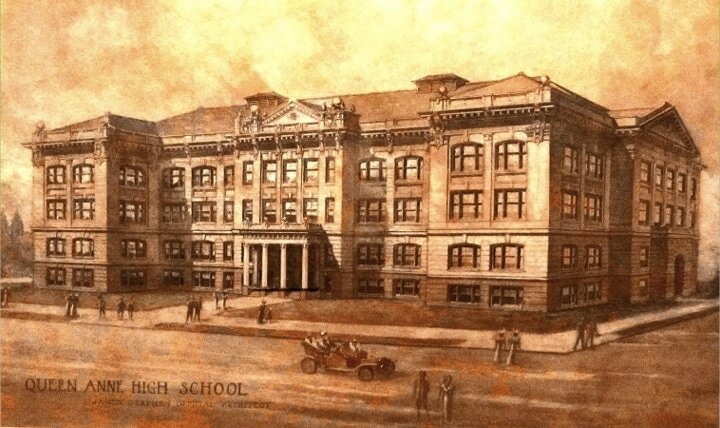 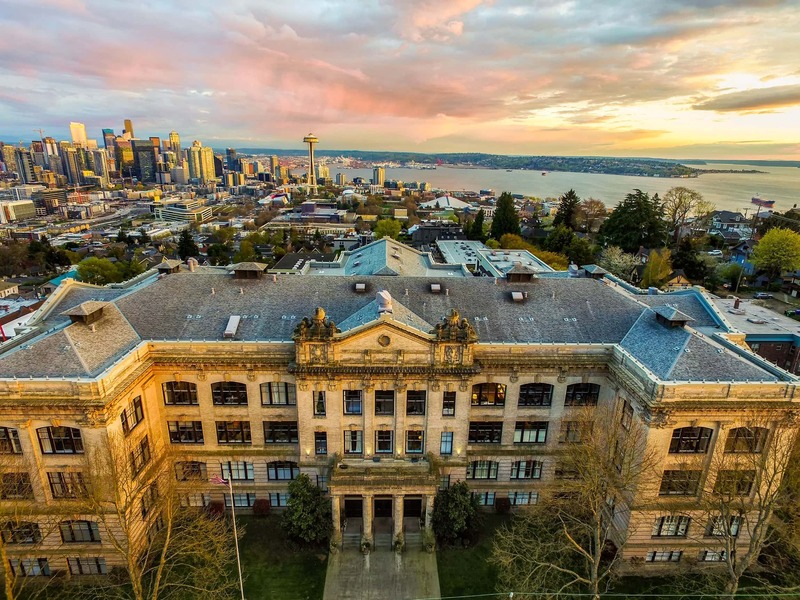 Queen Anne High School is well managed, well maintained and a well loved in Seattle. 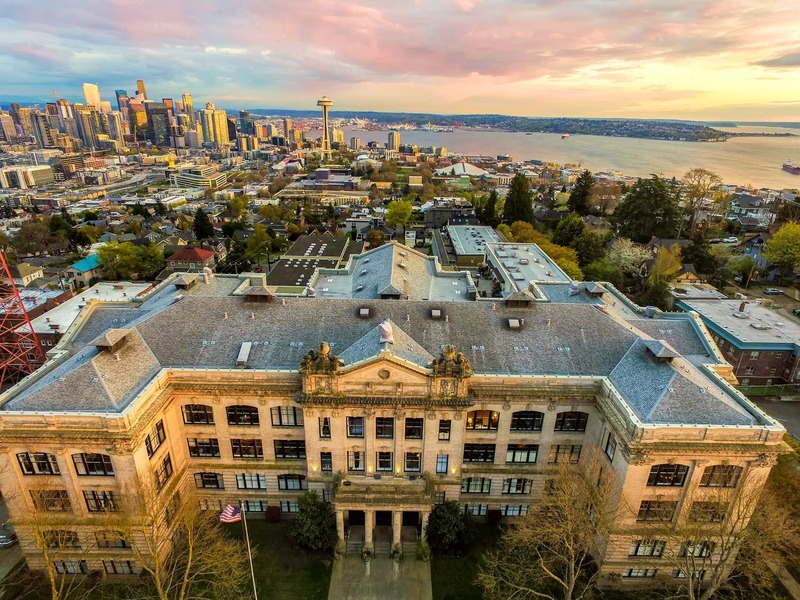 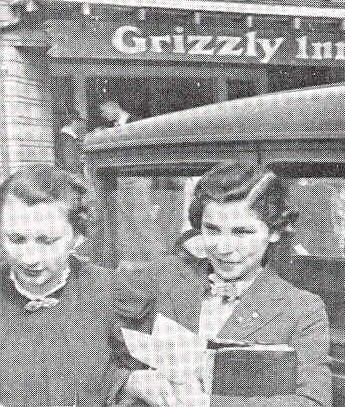 You'll find the community is engaged and active in the preservation of this historic landmark. 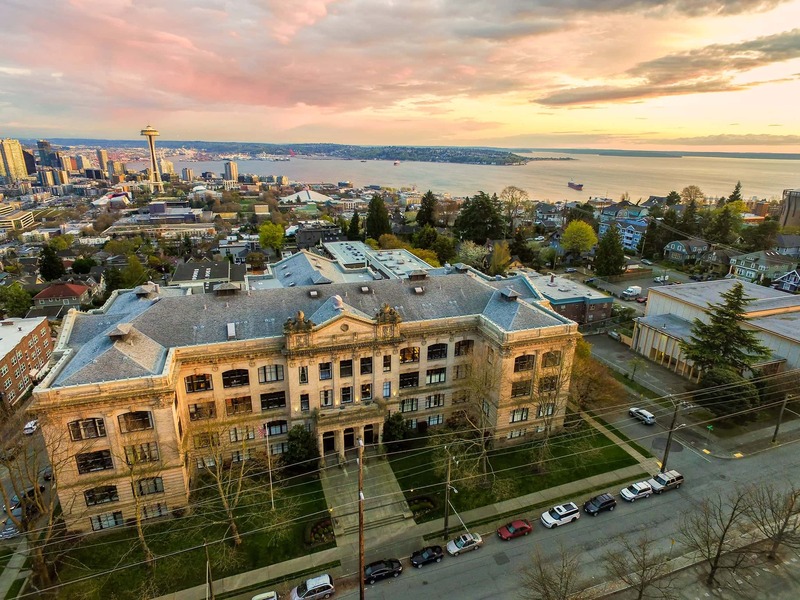 THE MAGIC OF QUEEN ANNE HIGH SCHOOL UNIT 412. 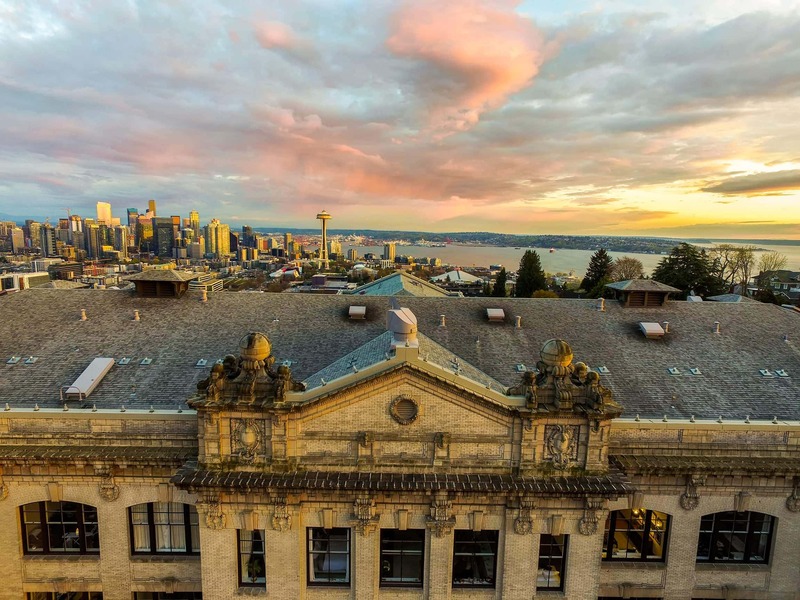 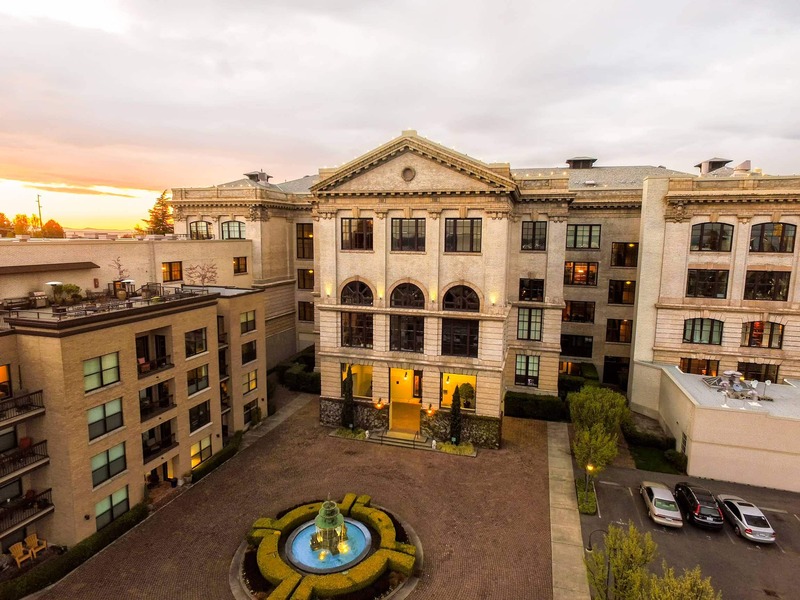 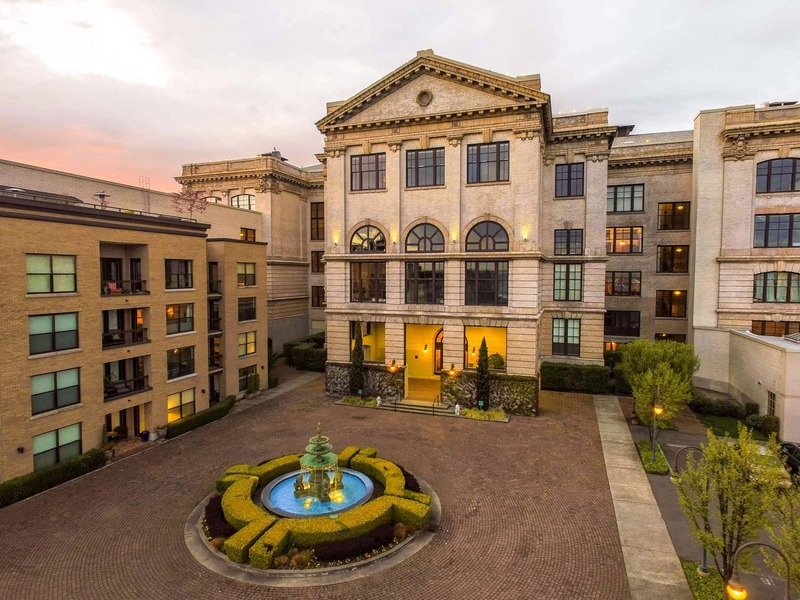 The beauty of a time past shines to make this Seattle landmark one-of-a-kind. 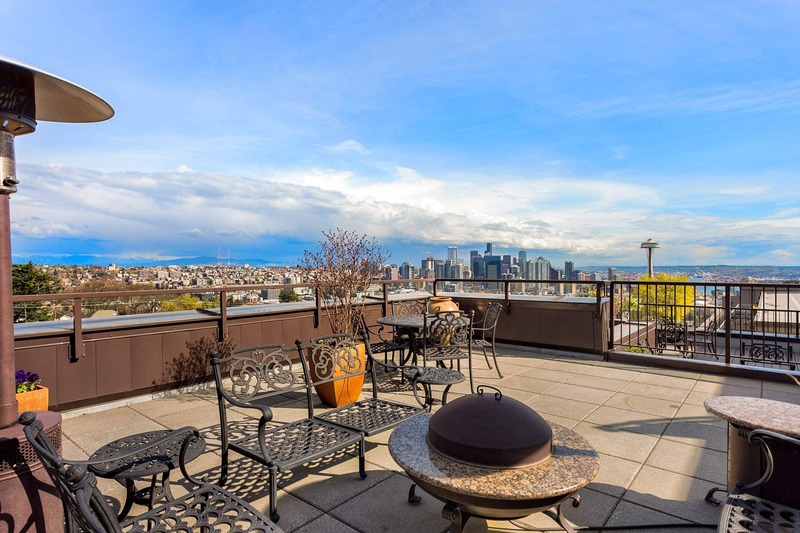 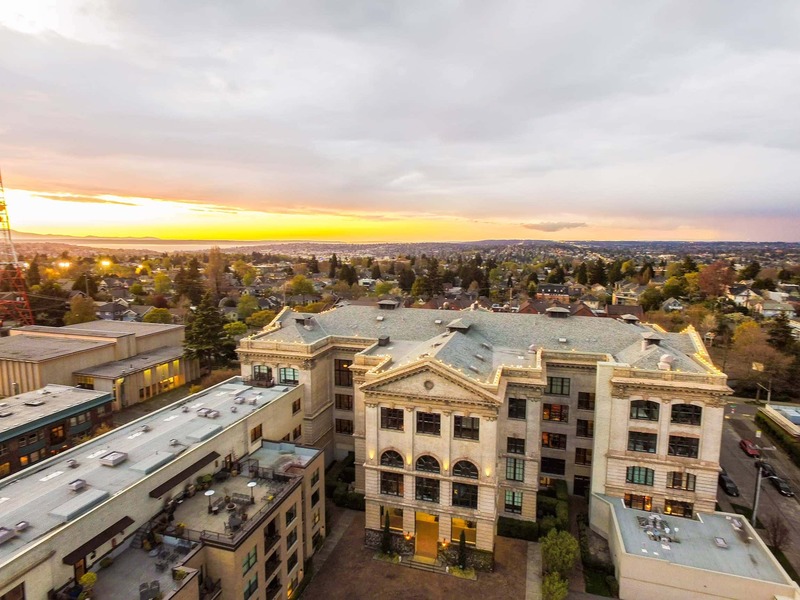 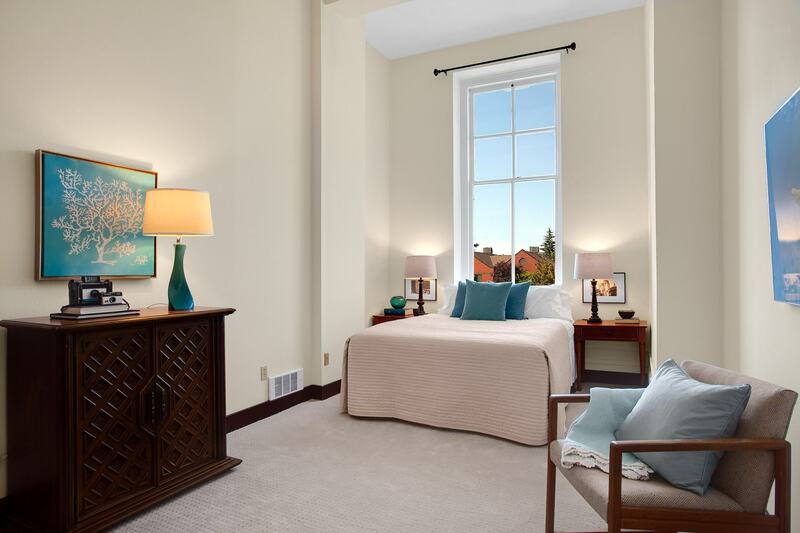 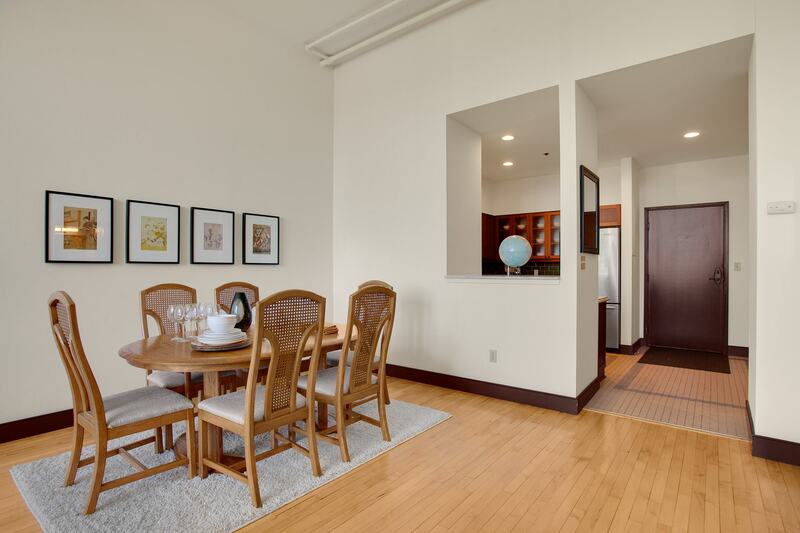 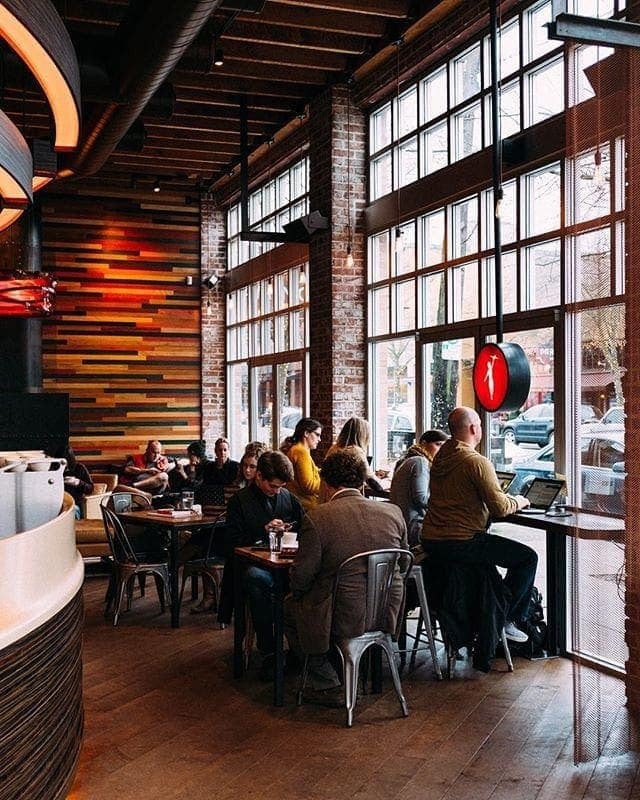 Modern sophisticated style is the essence of life in downtown Seattle. 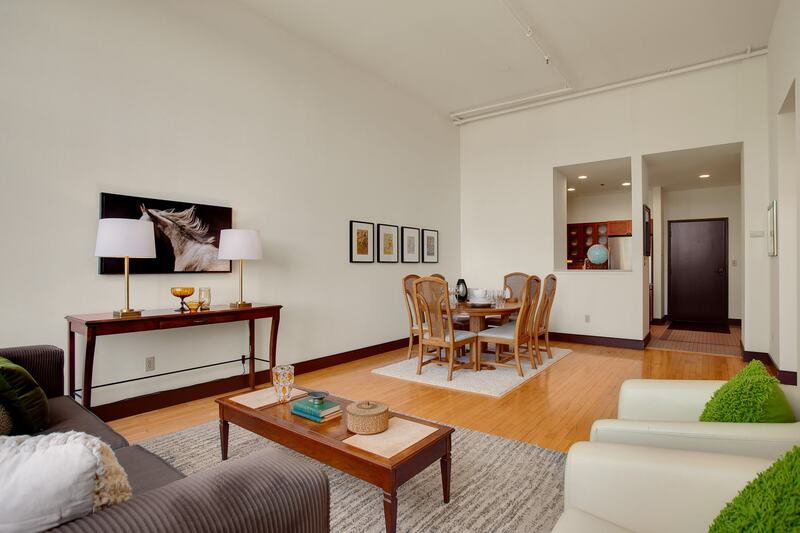 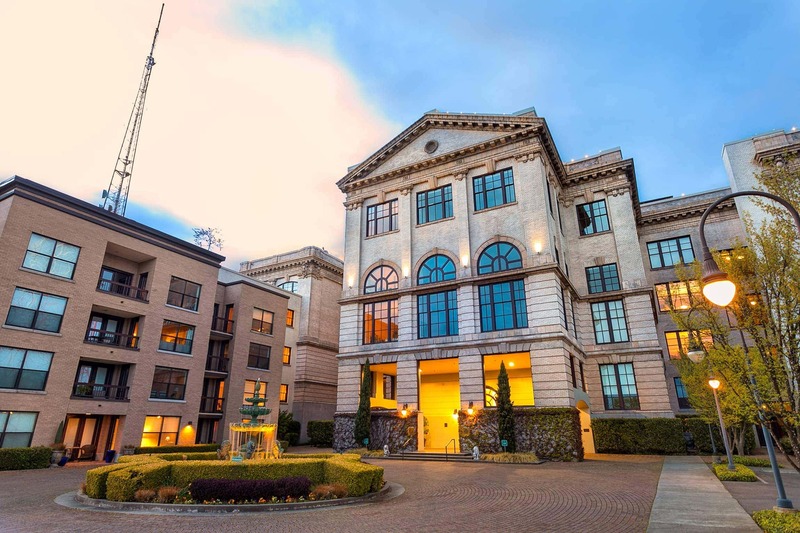 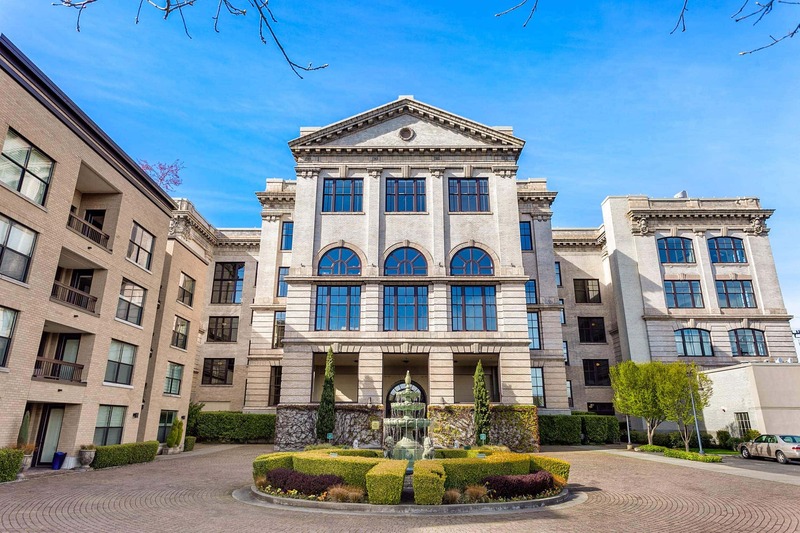 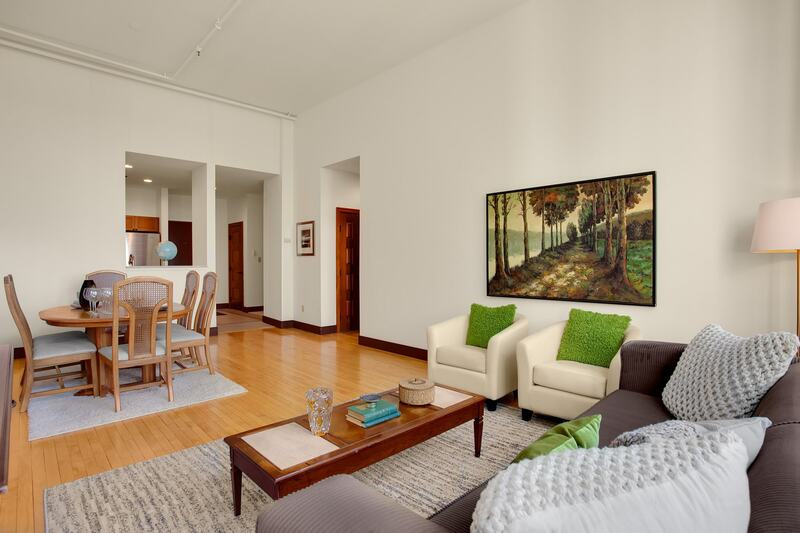 Wood floors stretch across the entire unit, as your eyes carry up to be greeted with soaring 14' ceilings and a full wall of glass capturing Queen Anne hill and treelined streets perfectly. 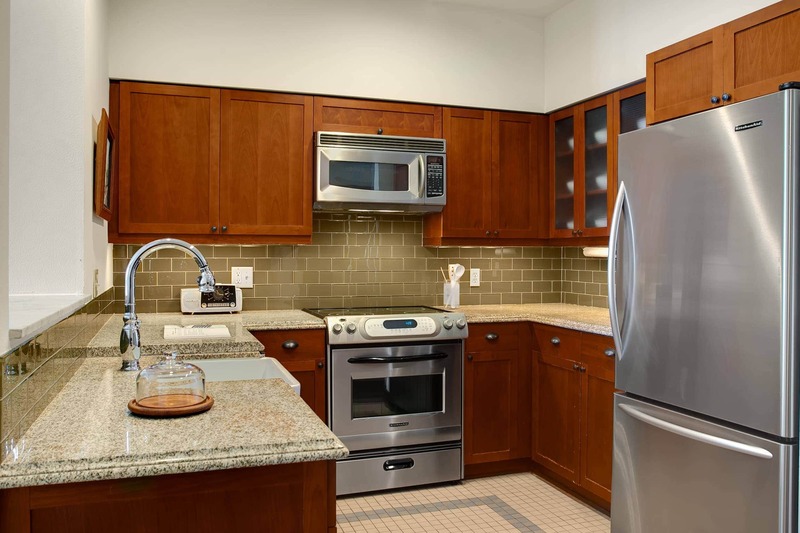 The modern stainless steel kitchen stone counters and ample storage. 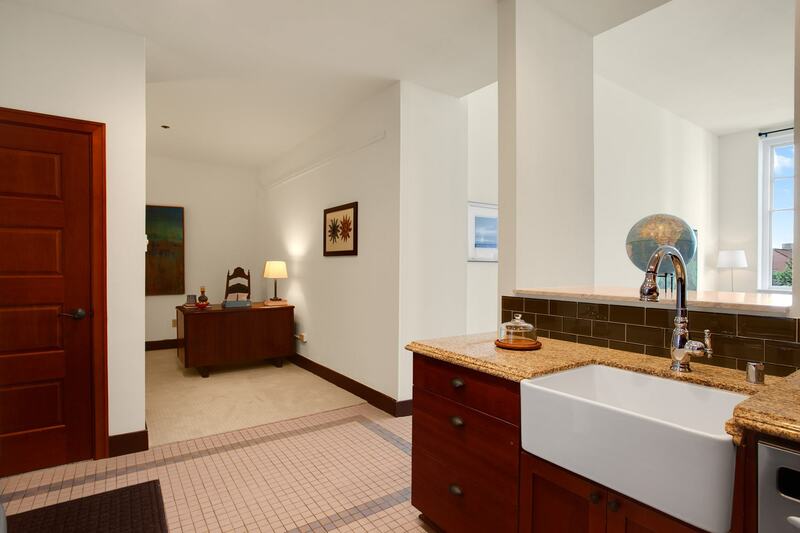 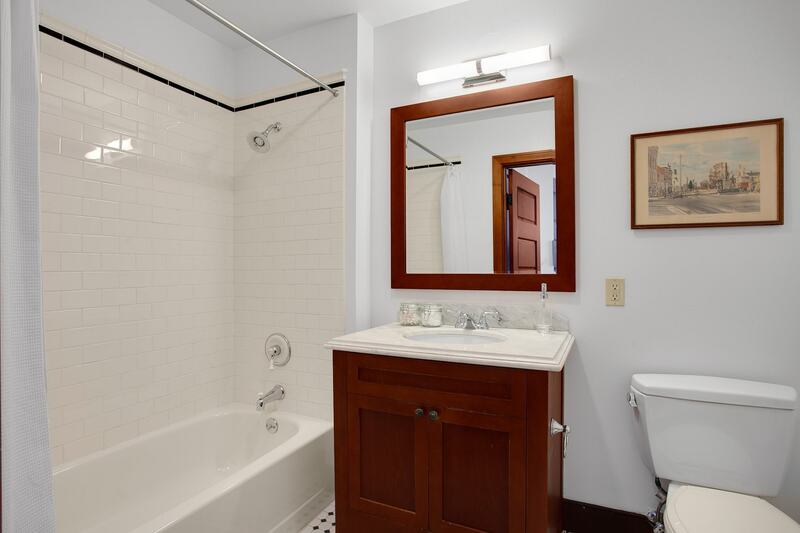 The spacious bathroom with plenty of storage boasts stunning period details in modern finishes. 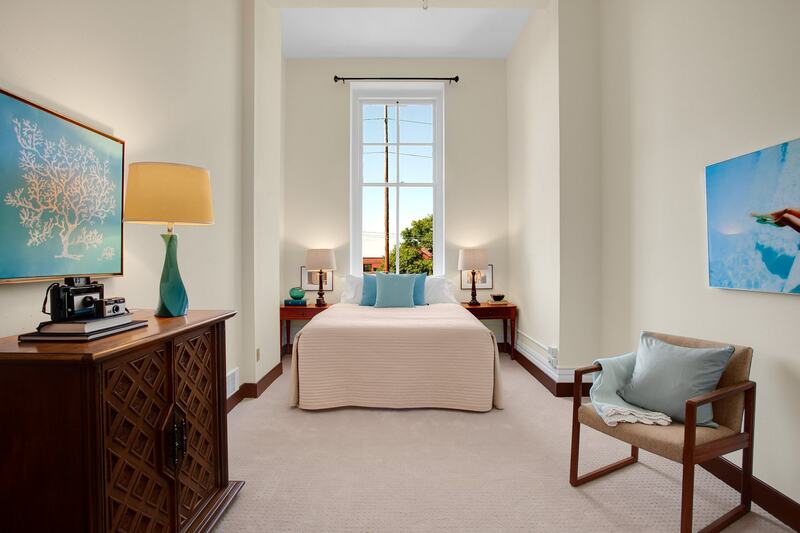 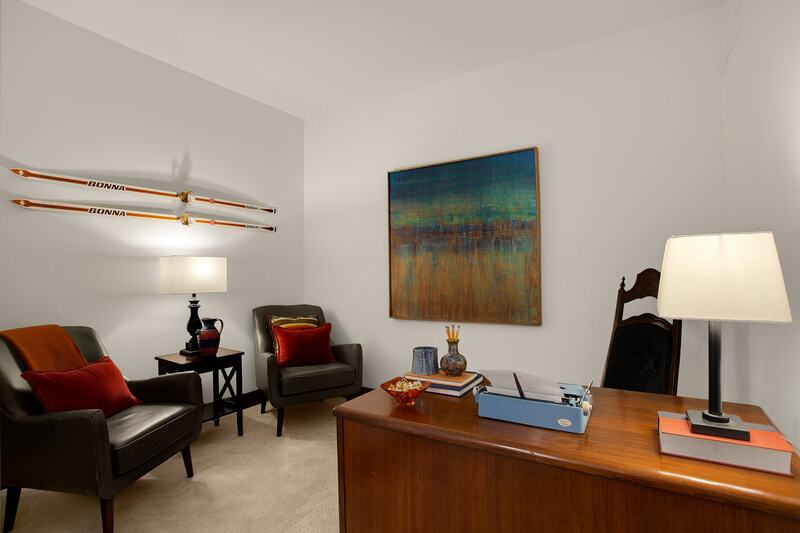 Fresh paint, new carpet, and ample natural light provide a fresh airy quality to the interior. 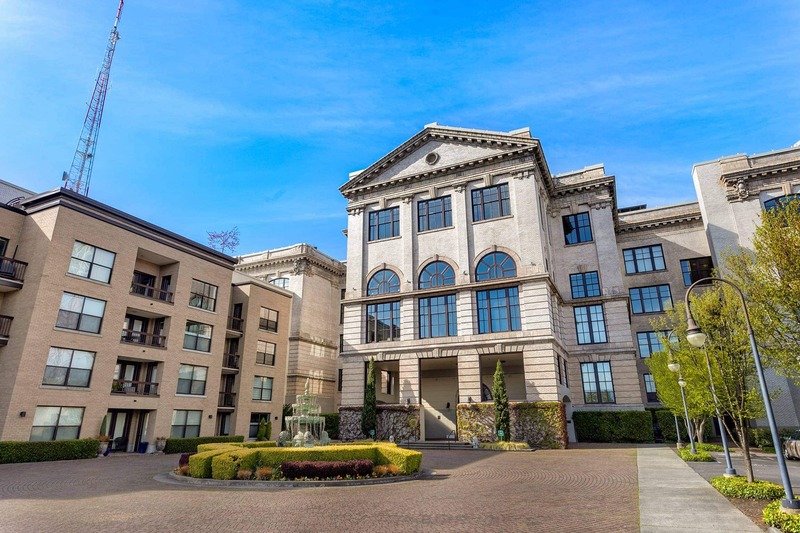 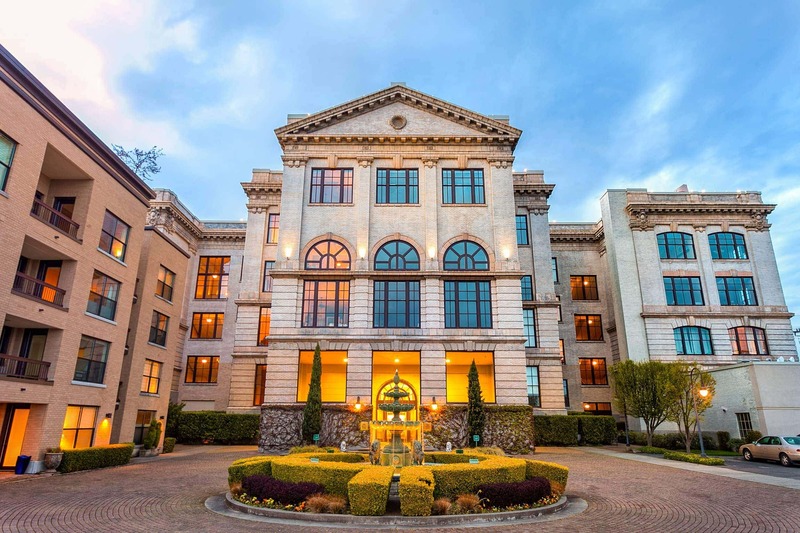 Step in the front door and you'll see what makes this crisp city masterpiece such a special place to call home. 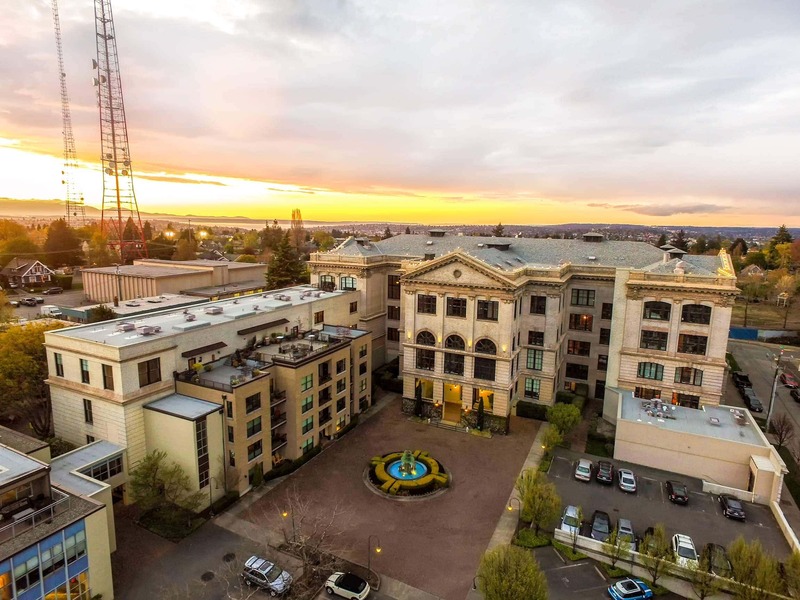 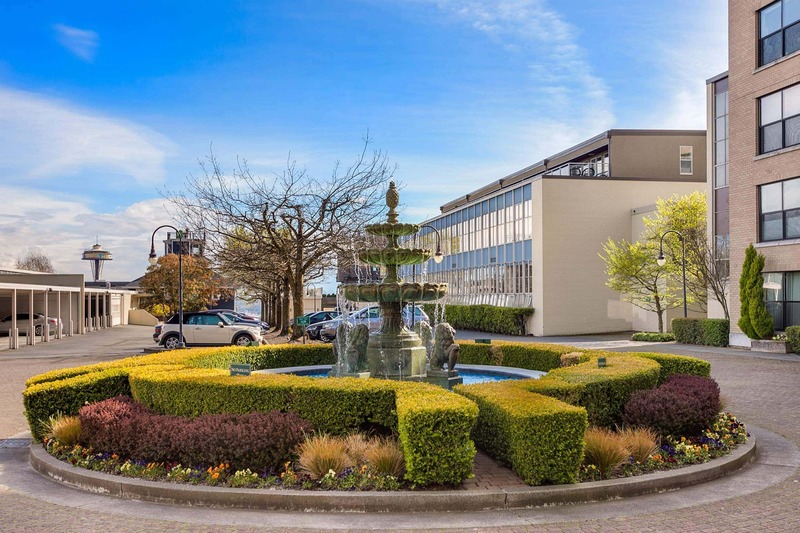 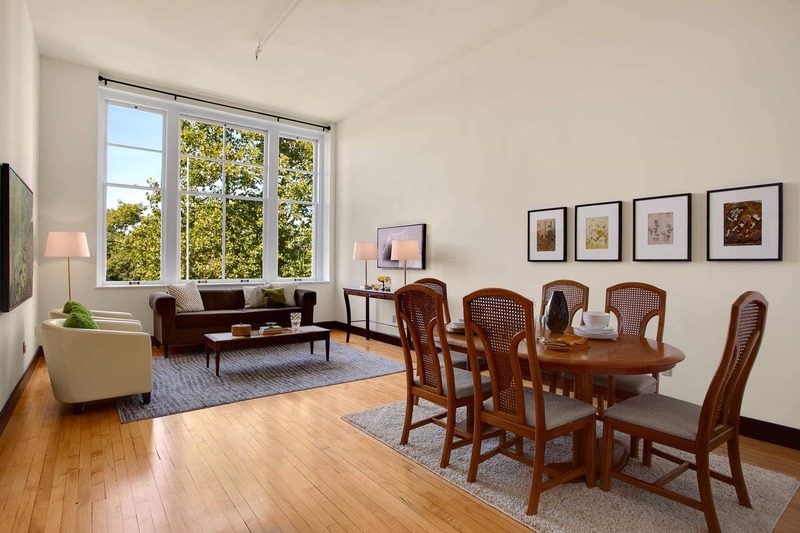 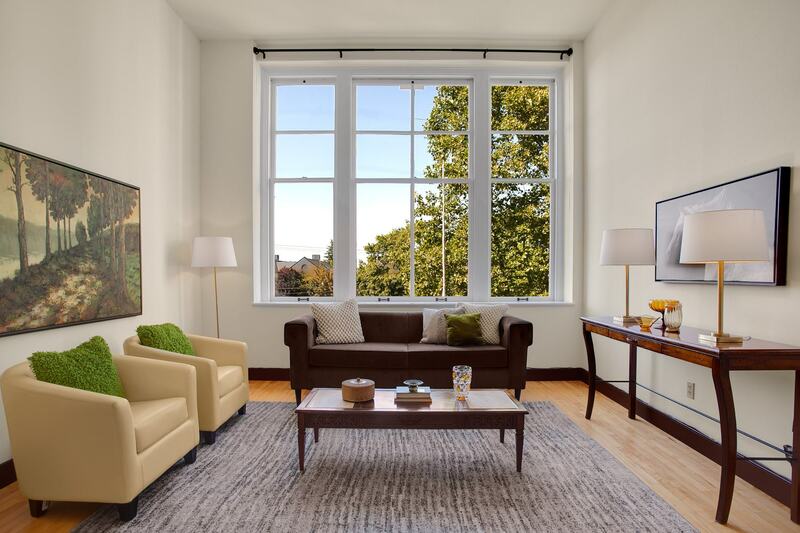 Unit 412 is stunning with 14' ceilings and large windows capturing views of Queen Anne's tree lined streets as well as drenching the interior with natural light. 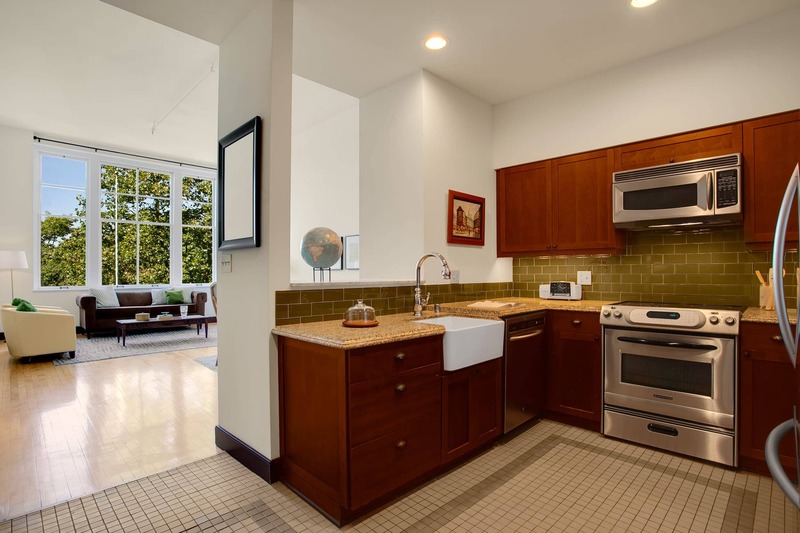 The owners lovingly cared for this home and just completed a refresh. 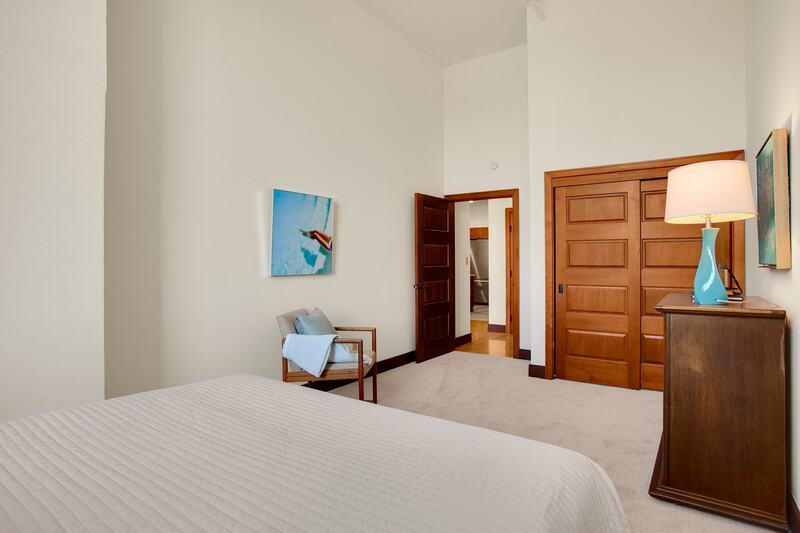 This unit sports a giant den that easily accommodates a spare bedroom when guests come calling. 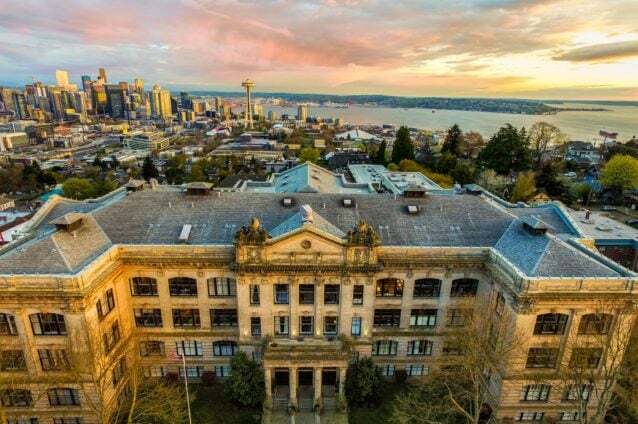 Fourth floor in Queen Anne High School is picturesque and of course you get the dramatic height and amazing architecture everywhere you look.